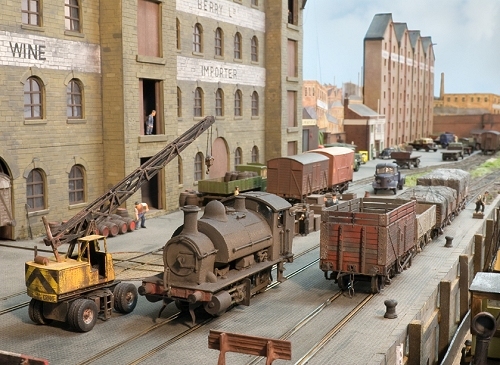 A real find in BRM this month - Steve Bell's amazing layout "Waltham Wharf". Spotted at Llanfair show last year, although it turns out I had seen it a couple of years earlier. This is the sort of large scale layout making use of its size for detail that I've dreamed of. 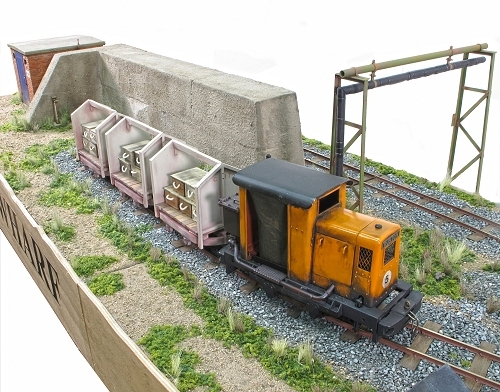 Steve is a really nice guy and has done a terrific job modelling an interesting 18 inch gauge prototype in 16mm scale. We dragged him and the layout into our studio where I shot both stills and some video. 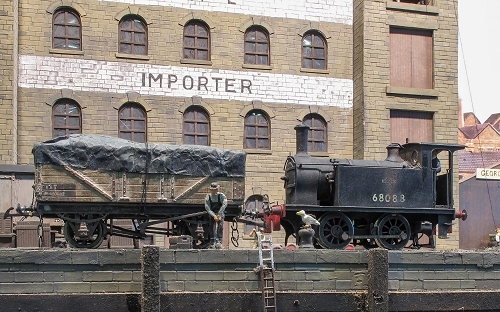 While talking about layout shoots, I also took pictures of Mike Corp's 3mm scale layout "Heybridge Wharf" - 2 years ago! The delay was because Mike had already agreed to let MRJ showcase the layout first and so we had to wait. Not to worry, I think the results are worth it. 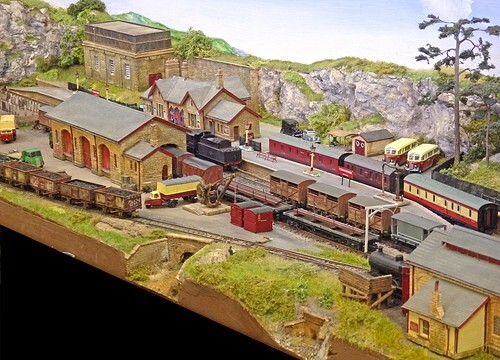 Regular readers know I have a history in 3mm modelling and Mike's is very much my sort of model railway layout. It has boats on for a start (and cutting out around the rigging did frustrate me!) and is full of small locos. Despite being busy with the camera, I've been practical too. 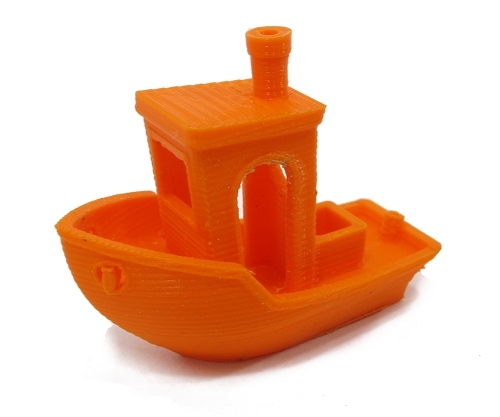 We have part 2 of the 3D printing escapades. This month I'm determined to find projects for the printer that I'm happy with - and I think I manage it. The key to doing this sort of thing is matching the tool with the job. I'm happy I managed, so happy that I've bought the printer, so look out for more stuff on here soon! Finally, I have a new project, or rather, 3 new projects. 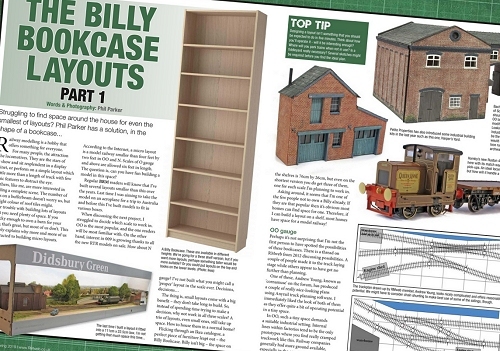 I'm going to build a series of layouts that will fit on the shelves of an Ikea Billy bookcase. Each will use new materials and techniques to me and hopefully be a useful experiment for those following my efforts. Micro layouts are very popular nowadays and make idea magazine subjects as you can produce a lot of photos reasonably quickly and therefore write up more techniques than a large model would alow for. Anyway, I've plenty of small locos knocking around, so I'm not going to build a mainline station am I? 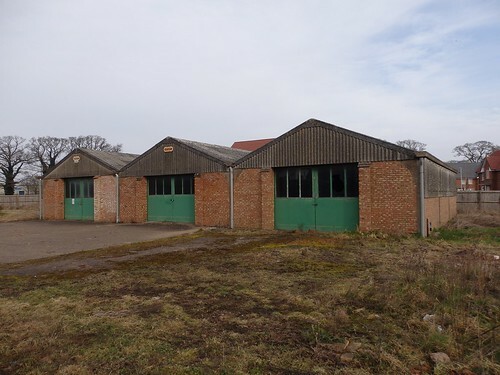 This week a series of photos showing Hawkes Farm - especially the "modern" barns that look very modelable. Anyway, before the bulldozers move in, I had a wander around to try and capture as much as I could in case these pictures help someone. You can drive by the farm on Google Streetview. Visit the full gallery on Flickr. 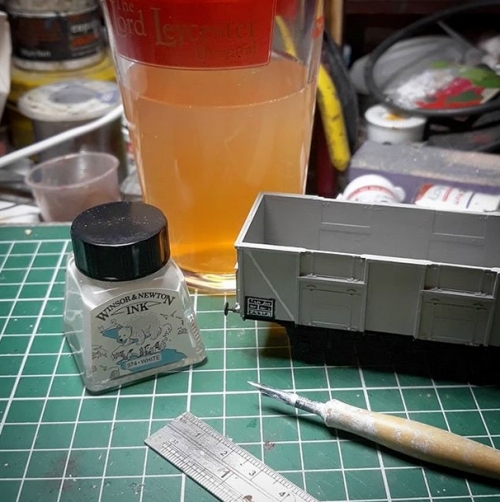 Sometimes my model making has had to be done on the cheap and while buying wagon kits wasn't too much of a problem, at least for the little layouts I build, sheets of transfers have been a step too far. I'm sure these have become relatively cheaper over the years! I also hate applying the things. Fiddling around for ages trying to make rows of numbers line up is not my idea of fun. So, I developed the idea that as long as the basic shapes were OK, you could get away with wagon numbering applied by brush. I wouldn't do this for a loc, but most people don't scrutinise wagons as closely. Since they will be on the end of a good weathering, this hides things even more. This can be seen in the photo above. The letters and numbers are a long way from perfect but on the layout, with things moving around and so much to look at, hardly anyone spots it. A good result and since pots of Humbrol 147 are cheaper than transfers, a saving for me. More recently, I realised that Geoff Kent was doing a similar thing. He applies his wagon numbering with a mapping pen and white ink. Well, if it's good enough for finescale royalty, it's good enough for me. A trip to an art shop furnished me with the requisite tool and material and for the last few years, I've been learning penmanship skills. OK, I'm a looooongway from Geoff's abilities, but it's a step up from what I did before, still cheap and once weathered, will look fine. Even when the effects of the rhubarb cider have worn off. 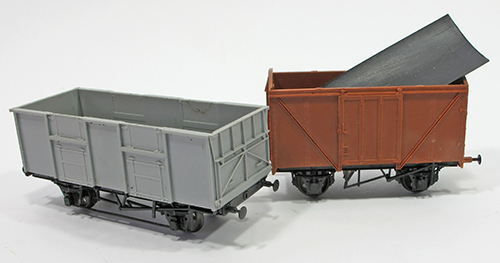 Needing a couple of wagons for filming a few weeks ago, I dug in the back of the cupboard and pulled out some Parkside kits - a 25.5ton coal wagon and plywood sided van. After a pleasant evening sticking them together - I'd forgotten just how much simply assembling these kit is - they were ready for the studio and fulfilled their role admirably. Back home I was left with two part-finished models and rather than just stick them back in the cupboard as they were, decided to finish them off so at least they can go in the stock box. I'm going to finish these as what I call "layout wagons". 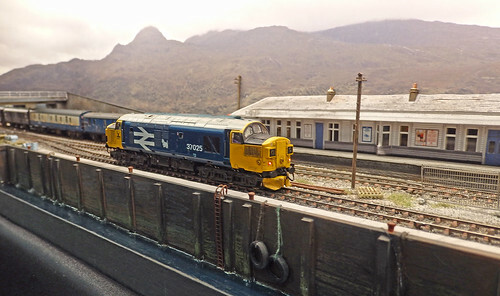 The best looking model railways, in my opinion, and since this is my blog that's the one that matters, have a consistent standard applied across the whole scene. It annoys me immensely to read a whinge about some tiny detail on a new RTR product, when I can't believe that the writer has built the rest of their layout to the same breathtakingly high standards they are thundering about. Far better, to pick a lower standard you can work to, and stick to it. This philosophy comes with the added benefit that as long as a loco runs, it's probably going to look fine if manufactured in the last 20 year. Better still, you can build a kit and it will fit right in. I'm not going to claim that Melbridge Dock is the greatest layout ever built, but one thing I was always praised for was consistency. Everything is equally dirty and built a similar standard and I think this works. So, these wagons aren't going to be the most detailed in the world. I'm not replacing all the underframes and fiddling with the bodies too much, but I bet that on the majority of layouts, no-one would even notice. Last week, I brought you my Vlog from Doncaster but didn't have time to edit the still photos to go with it. These are now available on Flickr for you. Sadly, not my best selection as I was a bit tight for time, but there were some cracking models on show. Something different this week - audio. 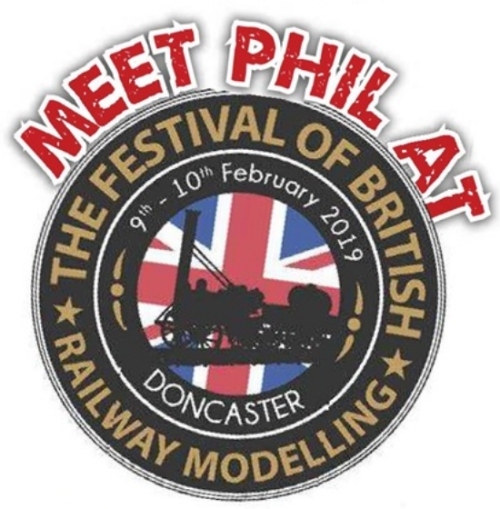 A few weeks ago, I went to an interesting session on podcasting (downloadable audio presentations, sort of like radio) and came away enthused about the possibilities for model railway news and stuff. To cut a long story short, Andy York and I had a go. 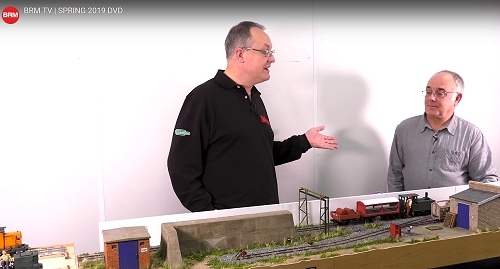 We've included an interview with Barry from Missenden Railway Modellers and Richard Davies from Hattons, that later looking at Brexit and how (if) it will affect his business. The link below takes you to RMweb to download and listen. If I link that way we get some useful statistics and can decide if the idea has legs. Comments welcome. 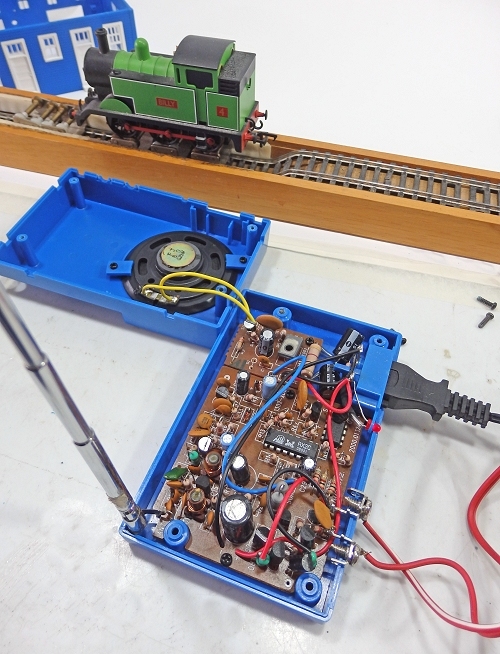 With my love of Hornby operating accessories, the R9060 radio control unit has long been on my list for the collection. 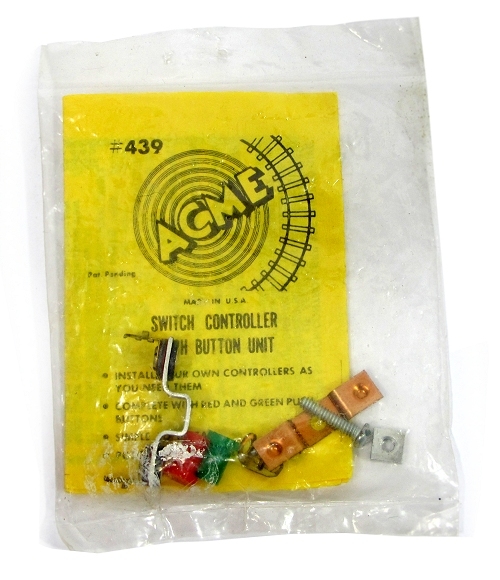 Introduced in 2001 (I think), the set comprises an American style cabin into which is plugged the transformer and also provides screw outputs for track power. Inside this is the speaker for train sounds. The handset has 4 buttons, faster, slower, stop and sound. It's a plastic box containing a 9V PP3 battery. I picked my set up for £12 second hand - they still command reasonable money but I'm far too stingy for this, even if I do have a real use in mind. For this sort of cash, there were a few issues. The battery connector in the handset failed almost immediately, but a replacement was easy to fit even with soldering required. Inside the hut, the aerial screws needed to be tightened up. Wired up to a H&M rolling road, I tried it out with a Bachmann Junior loco that we must never say looks a lot like Thomas. The results were disappointing. The range for the 26mHz system seems to be measured in inches - about 3, possibly 6 with a fresh PP3. 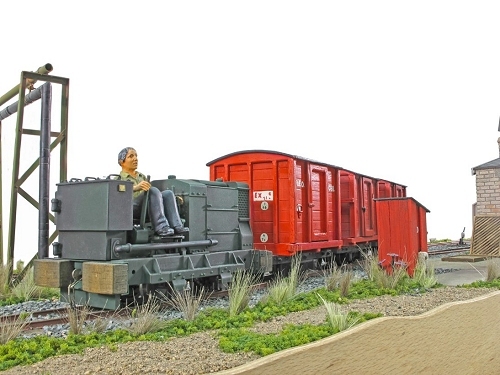 The loco runs in one direction only and takes an age to wind up speed. The sound is quite fun though. I don't think the DCC guys are going to be worried about this! Looking on-line, there are 2 versions of this set. The one I have was sold as a separate unit for finescale modellers, there is also a Thomas version that plays the TV theme tune. I'll admit that some of the issues might be related to this being a second-hand unit and not working properly - surely the range should be better and we ought to get reverse? Never mind, it's a bit of fun - and that's what this sort of thing is all about. 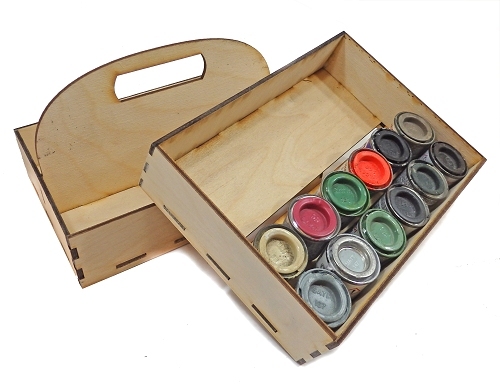 I like toolboxes and spotted this nice little paint organiser on the L-Cut Creative stand at Doncaster. £7.99 buys an easy to assemble kit for a 2-level tray. All the parts are laser cut from plywood. This has a slightly rough surface and benefitted from sanding on the faces to smooth things off. The parts lock together well with only a little PVA in the joins being enough to hold them. The centra handle keeps everything inline and stops the trays falling off while you carry them. 24 Humbrol pots are a tight fit into each level. I'm wondering about using them for small tools on the workbench as at 195 by 142mm, there should be space for all those regularly used items that don't make it back into the drawer. 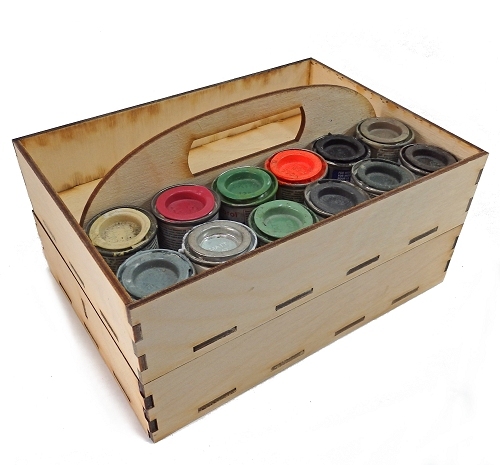 Should you want a taller tray, a 5 tier version is available. 2 layer tray from L-Cut. Note: I paid for this tray myself. 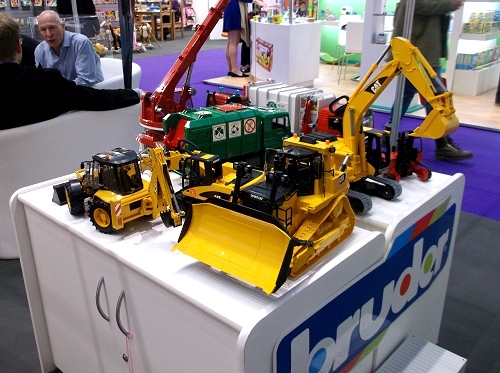 To be honest, I'd spent a day at the show and not aquired any toys so decided to purchase something fun to assemble. It was a good move. In the south end of Leamington, on a road called Batch Place, there used to be a church. It became a community centre and then someone set fire to it. Rather than restore the building to its original state, it's been turned into flats. 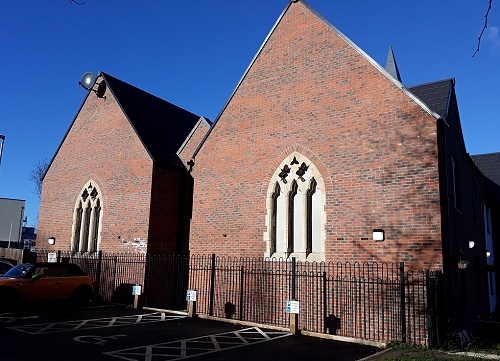 The roofline has largely been preserved but it's obviously a new building. 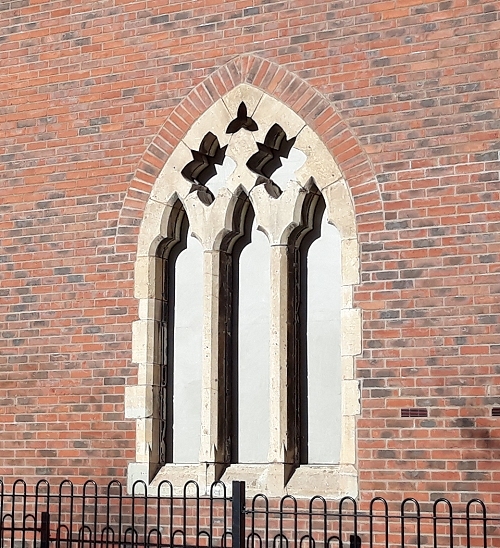 One nice touch I spotted is the inclusion of some original windows in the ends. They are unglazed, but a welcome link to the old church. I wonder if modellers could pinch this feature? There are lots of nice mouldings for church windows out there. Perhaps an interesting addition to a modern model? A little bit of catch-up on my workbench. 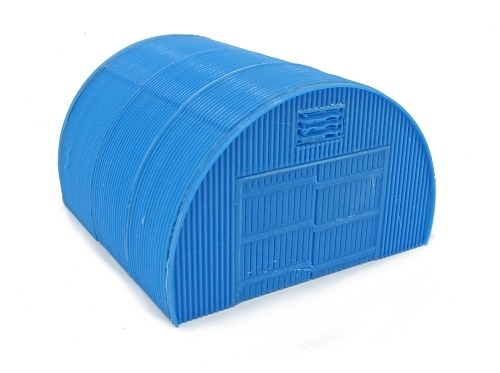 Needing some figures for my railcar build in Garden Rail, I dug out some old Modeltown mouldings. They are a bit crude, but were fine for sitting inside a sealed coach. 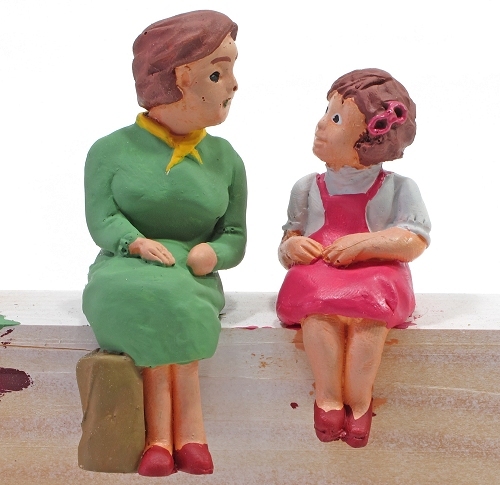 Not all of them were needed though so this mum and daughter were left over. I'd painted the heads but left the rest. So I spent a happy evening just colouring up the clothes and hair. Why there is a pot of pink enamel in my collection I can't remember, but it was just right for this job. 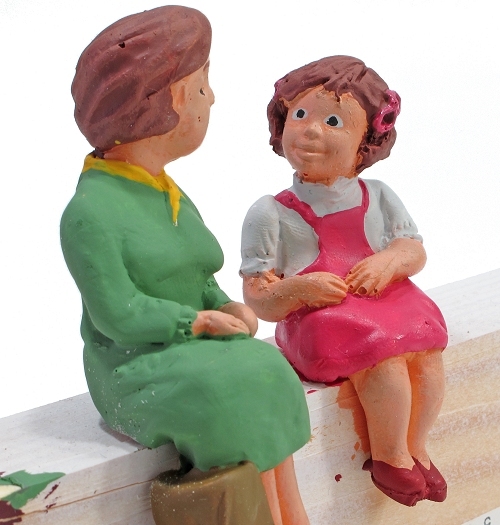 Having said these are crude, the little girl is a really nicely posed figure. The stance is just right and perhaps with a bit of detailing and refining, she could be made into a really nice little model on her own. That innocent and inquisitive look really works. 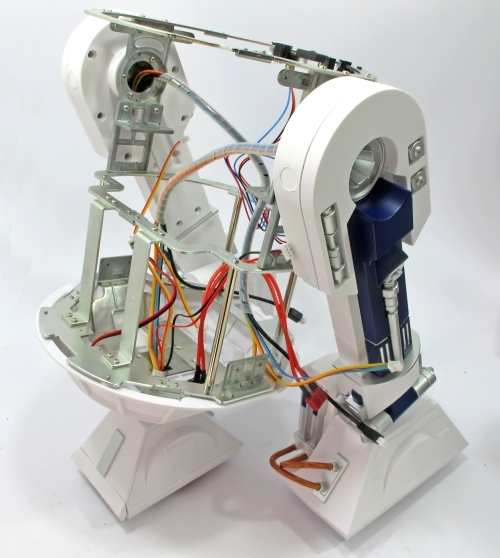 All the issue of the R2D2 partwork having been delivered, my Dad has been cracking on with the build. 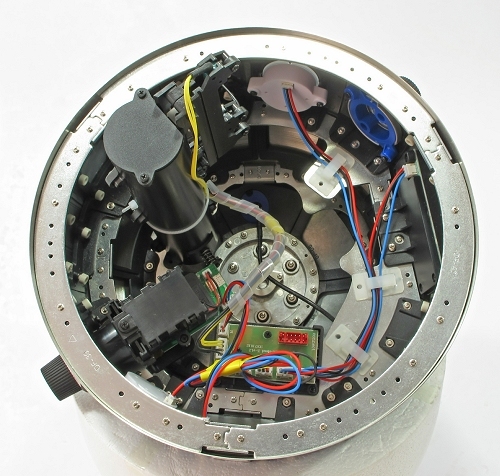 As you can see, the little droid now enjoys a full set of legs and quite a bit of wiring. He's no lightweight either, already weighing a couple of pounds. So far, the build has gone well. There have been a couple of tricky screws, but the builder has worked out that if there is a problem, it's usually his fault. There is a definite order to this build and woe-betide you if you don't stick to it. Along the way, he has learnt about cable wrap, something that I've been responsible for to date on layout electrics. Inside the dome, things get even more complicated, but again, the build has gone OK. There have been a few "that's very clever" moments too and quite a few pieces of plastic moulding that have impressed someone who managed the production of several million bread trays years ago. Apart from the dome supports, with another big motor/gearbox, it's wiring up time now. R2D2 has a computer in his belly that will be many times more powerful than my old ZX81, but it all seems to fit. 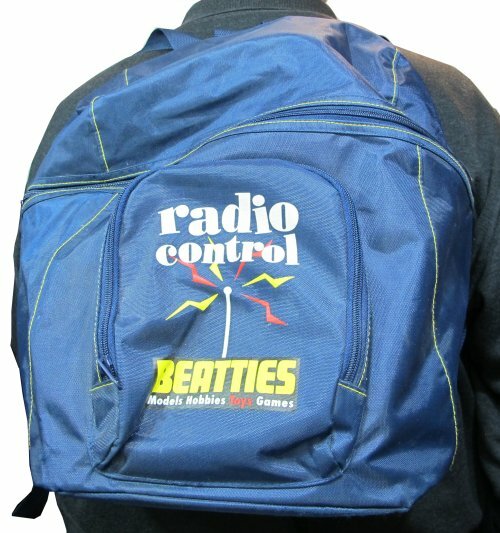 We're waiting on a delivery of rechargeable batteries now and work will resume. Hopefully, the force will still be with us! Another Vlog - but this one's a bit longer and a little more polished because I made it for work. 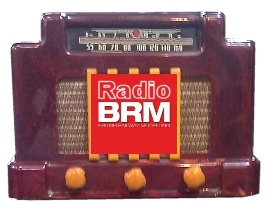 If you are signed up for the BRM Express newsletter, you'd have seen it a couple of days ago. Don't miss out, sign up now! 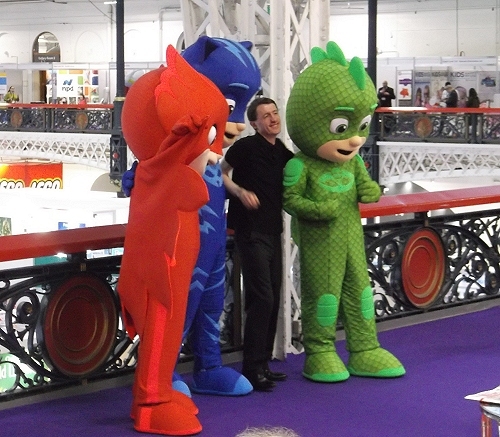 Anyway, lots of exciting footage behind the scenes at last weekends show. 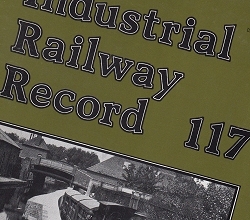 Hat tip to Tim Dunn for highlighting this amazing film from the internalMorris engines film unit. We kick off with a couple of beautiful speedboats destined for export. Then an engineer who has converted an old Morris bullnose car into a locomotive. Then on to fire fighting with loads of industrial building shot. 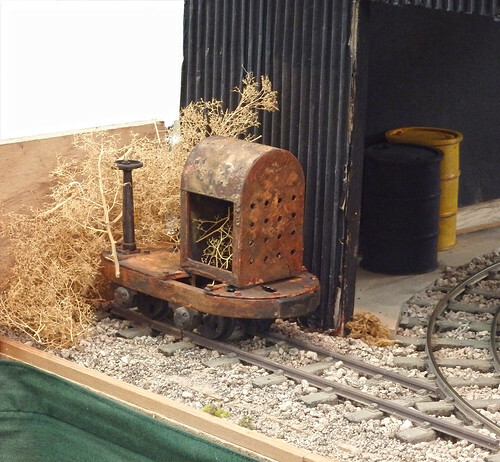 Next, a tiny shunting tractor operating in a wood yard. We finish with a welding barge in a dockyard. 19 minutes well spent, I'll even put up with the adverts in the middle (you can click through these after 5 seconds) for saving and bringing this fascinating film to us. 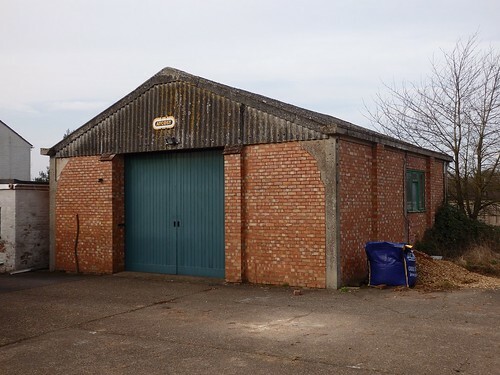 Last week, Chris Ford suggested that I'd never find a use for my O gauge rolling stock that had once worked Clayhanger Yard - and that I ought to follow him and de-clutter by disposing of some of it. He's wrong. 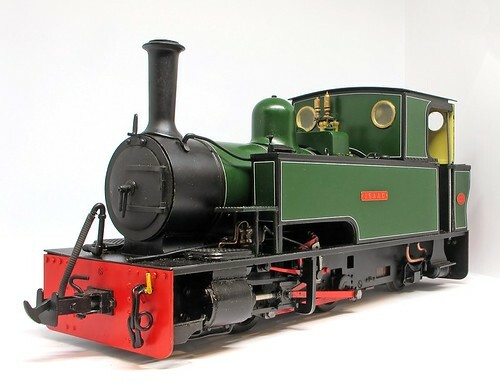 You see the stock wasn't built for Clayhanger, it was built because I like building little engines, and I really like building little engines in O gauge. In fact, I really like building O gauge models. On this basis, I'm convinced that there is another O gauge layout in my future. 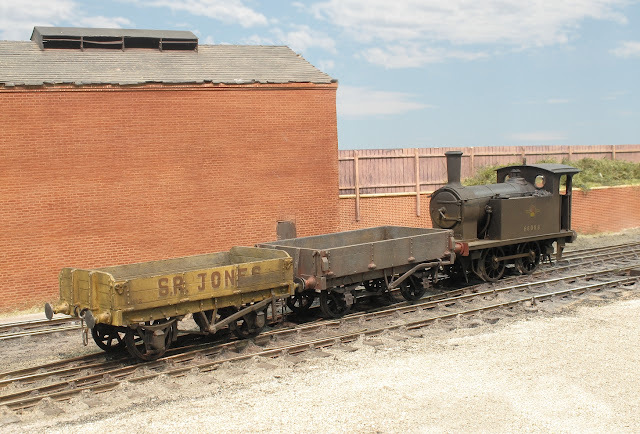 Since I only like building the sort of layouts that are home to diminutive locos, then there is a very strong possibility that this is the type of model I'll be building. I really can't see myself going for anything involving big locos. 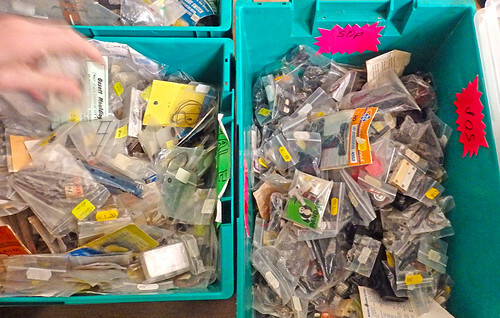 However, in my cupboard, I do have quite a bit of stock for our layout Melbridge Town. The one we never finished because both my Dad and I got bored building it. All of this was designed for a secondary mainline. There are big(ish) locomotives and even some bogie coaches including a twin-art set. What should I do with these? I certainly can't see me building anything that could make use of them. I learnt a lesson with this layout, no big roundy-roundys for me. 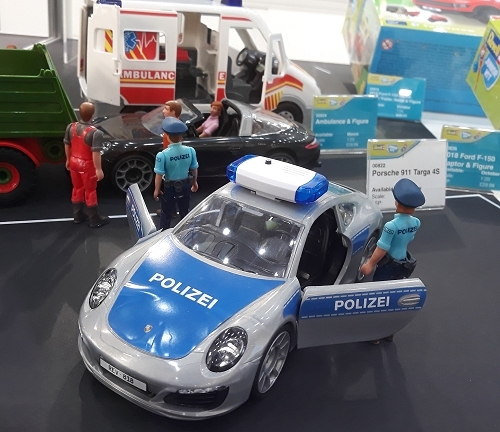 To be honest, I'm not even that fussed watching the things at a show, regular readers will have spotted that I'm normally to be found at the smaller and more interesting area of any event, pouring over a model small enough for the back seat of a car. Heck, as Mr Ford was writing, I was standing behind his old layout The Art of Compromise and singing the praises of modest layout modelling. The trouble is, what do I do with the stock? Much of it is detailed RTR from the 1990s. 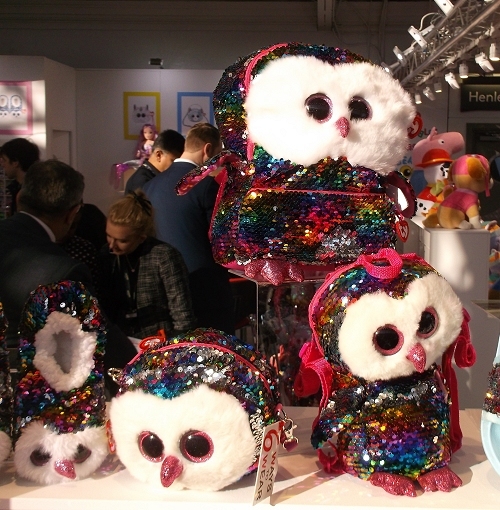 No-one wants this stuff now, they have newer and shinier boxes of more detailed models. Take my Class 24 above. 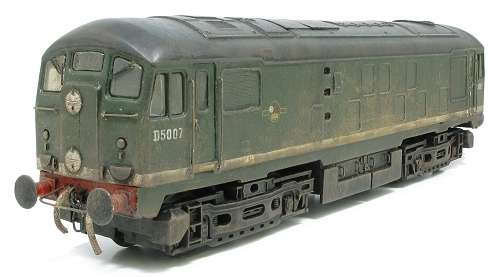 Converted from a Hornby Class 25 and fitted with Ultrascale wheels, it was OK for its day, but you can now buy better RTR. The reasons I care about this model are nothing to do with prototype fidelity, and everything to do with having several hours of my life invested in it. So, I do have many models with no real purpose. I suppose I should just chuck them in the bin and declutter, but I'm stupidly attached to them. It's a real joy for any editor to receive an article with so many superb photos that it's a case of grudgingly having to leave some out rather than losing the out of focus or badly exposed ones. David Mercer's Springfield Line ticked all the right boxes. 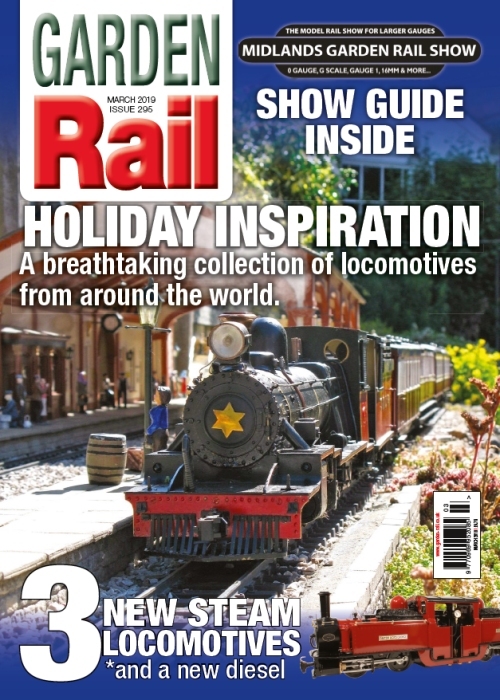 Superb locos and rolling stock inspired by the owner's travels around the world. Photos were taken on a summers day. 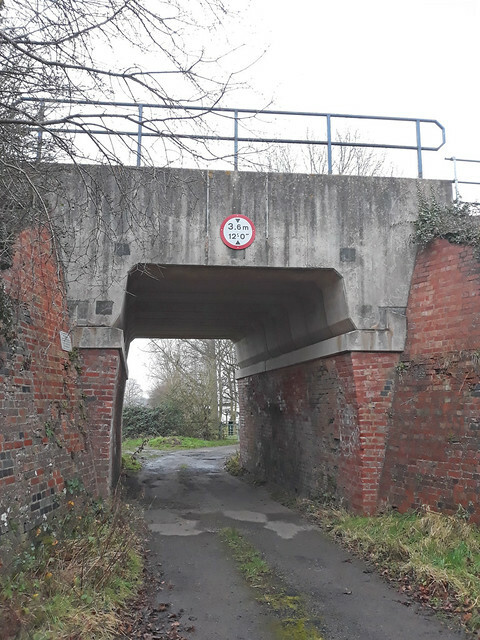 Some intriguing views such as under a station canopy. It's a really good looking piece. There's plenty of building too - including a canal system. 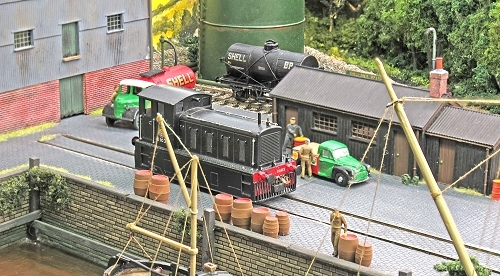 Well, railways and canals often appear together in real life, so why not in the garden? Full content listing and extra photos of the Springfierld Line on RMweb. 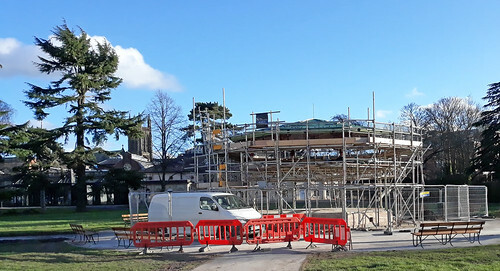 Work progresses on the bandstand in the middle of the Pump Room Gardens in Leamington Spa. 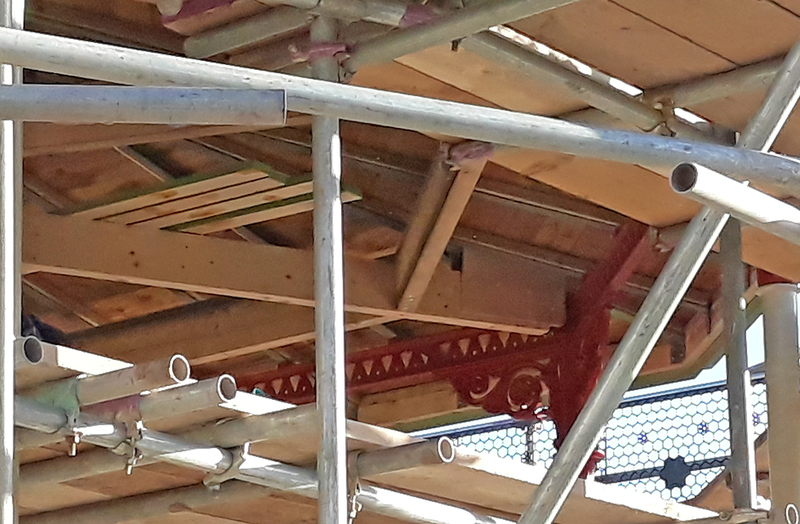 This fine, cast-iron structure has looked very much the worse for wear over the last few years but is now recieving the care and attention is needs. Of course, I don't really think many people want to build a bandstand, nor that this picture will be of much help to them. I just thought it was a good chance to show this interesting video of some of the work being carried out. Got to love all that hot metal being splashed around! 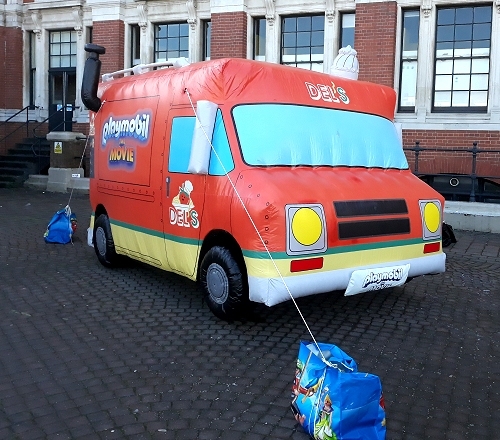 One of the "bargainz" picked up from Stafford was a pair of points from BK Enterprises in the USA. 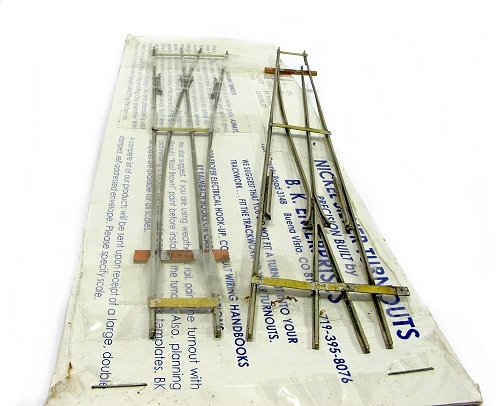 Now to me, these are pre-built points designed for spiking to wooden sleepers. The rails are held in place with metal strips tack soldered on the top surface - one of mine has come adrift but it's not a problem. The frog and check rails seem to be secured with generous washes of solder underneath. A tiebar is fitted, but otherwise, it's up to the modeller to add "ties". 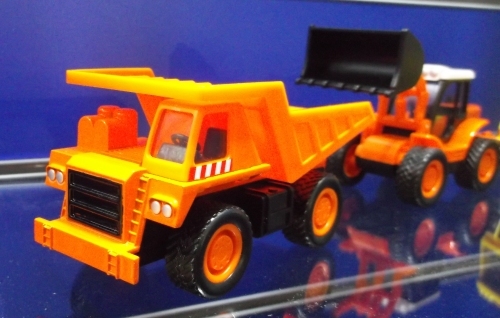 Amazingly, these appear to still be available - now from Trout Creek Engineering. I got a bargain too, only paying £4 for the pair! My thinking is that these go in the On30 box. I know they are supposed to be HO, but that's just the gauge - I can put wider sleepers in myself and I have the Peco track spikes. Interesting film on making slot cars. 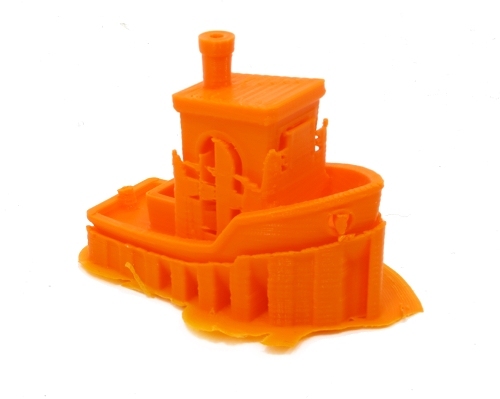 A lot of the processes are the same as used to make model railways - including the one that looks a lot like silk screen printing, because it IS silk screen printing! Oh, and although the commentary says "Scalextric" but the boxes sat Carrera.